What is a Tablet Protective Sleeve? A tablet protective sleeve is a pouch-like product to slip a tablet into, protecting it from being scratched, items being dropped on it or any type of damage that happens when it sits out on counters, couches, rides in a vehicle or anywhere it is stored or carried about. There is a large variety of them on the market with varying degrees of protection and options. There are also many different brands, models and even some designer-label ones. 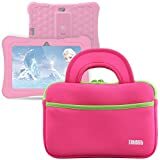 If you want to keep your tablet safe and prevent any damage to the screen or the unit itself; a padded sleeve offers you the advantage of protection against most dangers. The sleeves generally enclose the complete tablet keeping it out of harm’s way. There are some sleeves with built-in elastic bands that add an extra layer of protection by keeping the tablet in its place inside the sleeve and prevent it from slipping out. * Commuting or Traveling – There are tablet protective sleeves to use when you do a lot of commuting or traveling with your device. They are constructed with a padding to offer the highest level of protection. These enclose the tablet completely and are offered in a large variety of styles. Travel sleeves can be colorful, soft side, hard side and there are some designed to look professional. * Business Use – Professionals who want to protect their tablet screens yet have easy access generally use a folder-style sleeve as an alternative to the complete pouch style. The folder-style is open on three sides and constructed out of a more resilient material. They cover the front and back of tablets when closed and have a flap closure to keep shut. Many have corner mounts built into them to keep tablets in place and also allow tablet to be used while remaining inside the sleeve. They work well to protect tablets from everyday bumps and exposure. * Outdoor Use – People who spend a lot of time outdoors traveling, backpacking etc. and still want to be able to take their tablet with them will want to use the waterproof protective sleeve. These will protect against weather elements as well as other dangers. The water-proof sleeves can be a basic clear sleeve or more complex features. Some of these sleeves include straps with lobster-claws to give maximum durability. 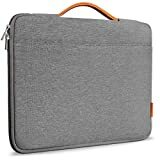 As a guide for knowing which sleeve to purchase you will first need to know where your primary use of the tablet will be. Will it be used for professional use, will you be traveling with it much or do you intend to take it outdoors often? The manner in which you use the table will determine the construction style of sleeve you’ll need. Sleeves with weak corners affect the visual appeal of the sleeve and leave tablets vulnerable to damage. There are high quality sleeves made of leather and neoprene which offer quality protection. Sleeves made by well-known brand names also offer a higher degree of protection. When choosing the tablet sleeve that will work best for you remember what features you use on your tablet every day. You will want a sleeve that is compatible to your use. Do you need access to any buttons or controls that a sleeve might cover up? Do you need access to your camera that some sleeves cover? These are important areas to look at when choosing the right sleeve. Make sure you know the size of your tablet before buying a sleeve. There are various sizes on the market actually designed only for specific models of tablets. Some may interchange, but it is important to know if the dimensions of your tablet will fit the sleeve. This is a slim, compact case that will hold laptops up to 15 inches without creating unnecessary bulk. There are built-in storage pockets for mouse, charger, iPhone and pens. The lining is an ultra-soft fabric providing your device extra absorption and protection. This case is great for preventing accidental scratches to your device. The ProtoCase will hold most 13 – 15 inch Laptops/Notebooks/Ultrabooks and MacBooks. Some UltraBooks may fit a bit tightly as there are variations in their size and models. These bags are very convenient, easy and comfortable to carry. There are compartments accessible from the inside and outside of this versatile bag. This sleeve is designed specifically for the 7 inch Dragon Touch Kids tablet. It is incredibly durable and lightweight and especially easy to take with you on the go. The handles make this sleeve convenient to carry anywhere. With a zipper closure the tablet stays protected and the seamless padded wrap keeps it safe from impacts. There is a pocket on the front to carry all accessories with you. This colorful sleeve will add a touch of style to your device. This is the newest Evecase for 7-8 inch tablets like the iPad Mini 3, 2, 1 or the Samsung Galaxy Tab A/4/3/2 7 & 8.0. This is a water resistant neoprene sleeve with a soft microfiber interior. This is an incredibly durable sleeve and great for travel and at home. This is a top-loading sleeve with a dual zipper closure to keep your device secure. There is an attached handle for you to easily carry it about and includes extra front pocket to bring along all the accessories. 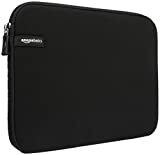 The AmazonBasics 8 inch tablet sleeve will provide your device protection from bumps, dirt or any accident your laptop may come across. When you travel this case is great to store your device in to protect it from accidental drops or other misfortunes. This is a padded sleeve and features a top-loading zipper for easy access to your device. The slim design of this sleeve allows you to use as a standalone case where you can then carry the essentials by themselves and use the sleeve as added padding. 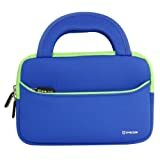 This Evecase Ultra-Portable Neoprene Zipper Carrying Case is for 7-8 inch tablet. This Universal tablet sleeve is durable and lightweight and is great for those of you on the go. Zipper closure ensures your device stays securely in the sleeve and it features a seamless wrap with impact padding for extra protection. You can bring your accessories along with the front pocket located conveniently on the outside. This is a brightly colored case that will add style to your device. The ProCase is a slim case but still covers all your needs as not only slim but lightweight. This is a convenient feature that allows you to take as a standalone or pack into larger case such as; backpack, briefcase etc. It serves well for taking your device to school, work or on vacation. It is incredibly soft and constructed with environmentally friendly materials. There is a built-it pocket on the front for taking all your accessories along or to bring pens, notepads or anything else to help you with your projects. This sleeve features easy access to your device as it can be opened at 180 degrees. The Inateck Surface Pro has a long lifespan made of wearable cloth on the outer lining. The inner lining is soft flannelette and it has a elastic PU handle strap. The sleeve is thickly constructed and it is stuffed with fluffy lining to protect your device against shock or scratches. This is considered a business-casual style sleeve and comes in fashionable color choices. There are external small compartments for keeping magazines, books, power adapter and accessories. This makes it easy to retrieve them when needed. 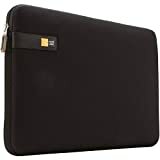 The Microsoft Surface Pro 4 Case Sleeve is compatible with Microsoft Type Cover keyboards and can also be used with or without the keyboard attached. Magnet closures ensure the sleeve stays closed when not using your device and is constructed with premium composition leather protecting exterior. The interior is protected with soft microfiber. This sleeve has a built-in Surface Pen and built-in pockets for storing your accessories, documents or smartphone. The sleeve is slim, light and is offered in several color choices. 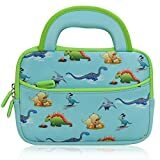 The Amazon Fire 7 inch Zip Sleeve is designed by Amazon to fit all new Fire 7 inch Kindle, Fire HDX, the Kindle Fire HD and the original Kindle Fire. The sleeve is simple yet stylish and lightweight. This sleeve will protect your device against scratches and scuffs. The sleeve is designed with convenient zipper closure to keep your device secure when you are on the go. There are five color variations to choose from. The Case Logic is subtly detailed and streamlined to fit anyone’s needs. Designed with a seamless wrap of Impact Foam padding this sleeve will protect your device against almost any impact. Your device can be quick loaded with the top-loading envelope style design. The sleeve has a slight webbing woven on the side to add style to this incredible bag. The Case Logic is slim-line allowing you to use as a standalone or to pack in a favorite bag. With the envelope style enclosure allows you to access your device whenever you need it. Knowing how you will use your tablet the most is going to be your most important consideration in choosing one of these sleeves. Size is also a huge factor to make sure the tablet fits securely, you do not want the tablet to slide around in the sleeve; it should fit snug to protect it. The different sleeves will offer different protections and their styles will offer you many choices. Once you have determined why you want a sleeve you’ll know the type you need. From here you can decide on the style that is going to look good with your device.